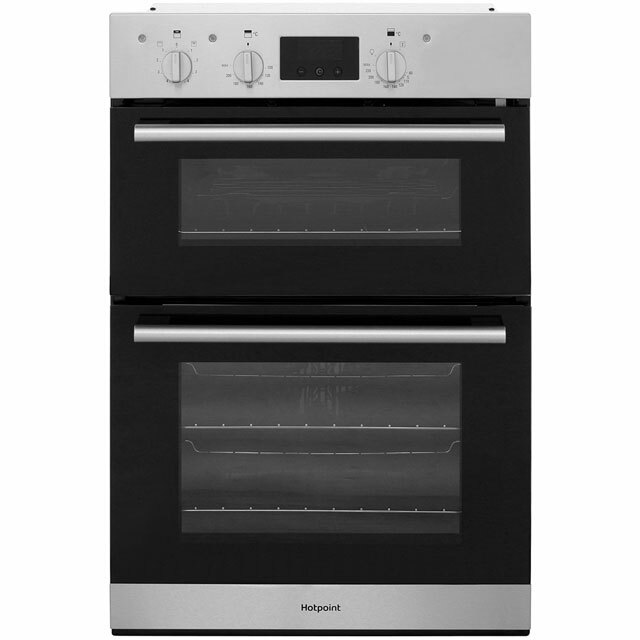 This stylish black built-under double oven from the Hotpoint and Jamie Oliver partnership will look great in your kitchen. 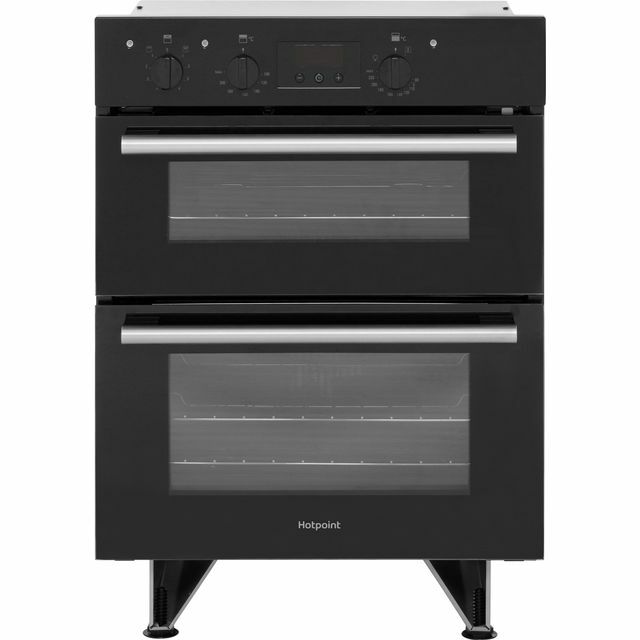 It has a main electric fan oven that circulates hot air to cook food evenly across every shelf. 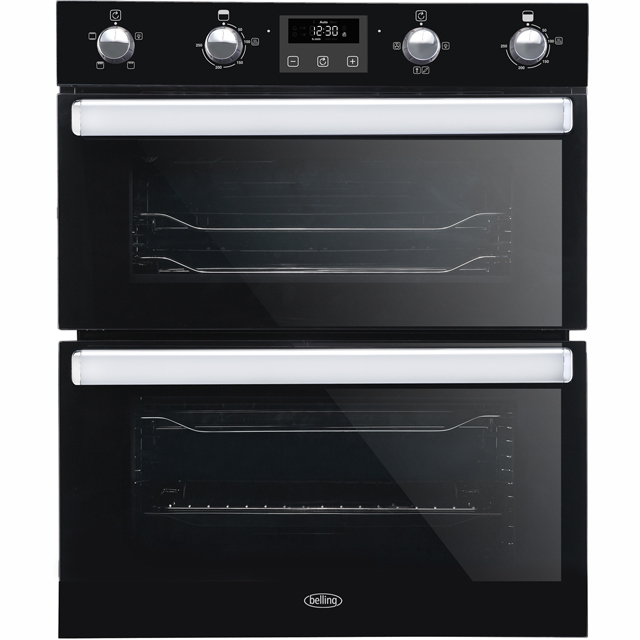 The second cavity is a conventional oven with a useful grill setting – ideal for preparing quick snacks and adding a crisp, golden finish to food. It also has a handy electronic programmable timer, so you can set the oven to turn off automatically when your meal is ready. 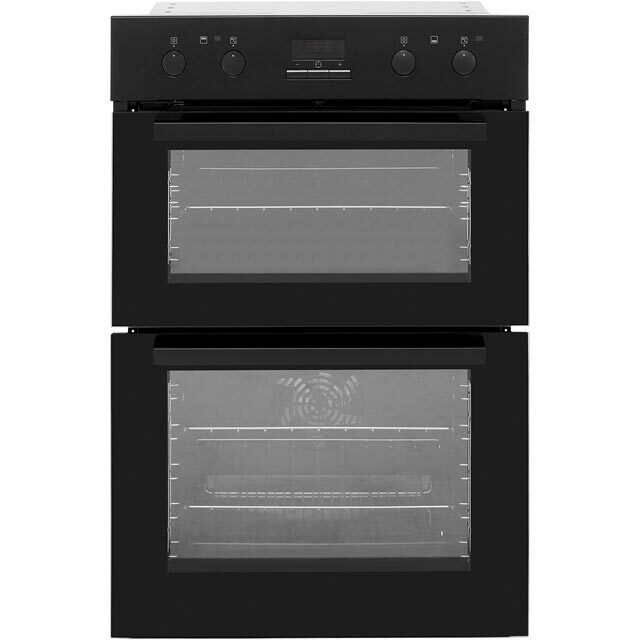 The main oven features a greaseproof enamel-coated interior too, which makes cleaning really easy. This model has feet and is designed to fit under a worktop. AO is very proud to bring you one of the most exciting partnerships of the year – Hotpoint and Jamie Oliver. Together they present an incredible range of easy-to-use appliances that will inspire you to get in the kitchen and get creative. 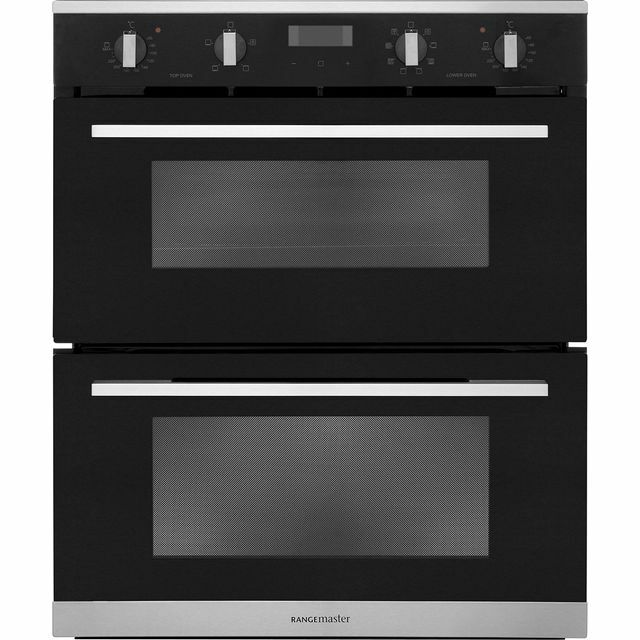 Clever new features include powerful hobs that make cooking fast and simple, fridges that prolong food freshness and ovens that cook every meal to absolute perfection. There’s no better feeling than making delicious, hearty home-cooked food for the people you love the most, and with Hotpoint and Jamie Oliver – it’s a recipe for a happy home. Jamie says, “I'm so excited to be working with Hotpoint and show how their incredible equipment can make your life easier in the kitchen, so you can cook up a storm for your nearest and dearest, every day of the week." Easy installation under worktops thanks to the adjustable legs, biggest main oven space I could find for a built under model! No issues doing a full roast dinner and having the top oven means you can either split the cooking or more importantly warm up the plates!! Really impressed with this oven , quiet , efficient. Does what it says and looks great . It is actually an A rating not B. Good easy cooker. No seal on the door to contend with, just a sheet of glass to wipe clean. The oven is very good and excellent value. Its looks are very appealing. Good loooking oven. Nice spec. Sensible price. Hotpoint qualty and design. Very pleased. We also purchased the matching Hob and Hood, equally good.